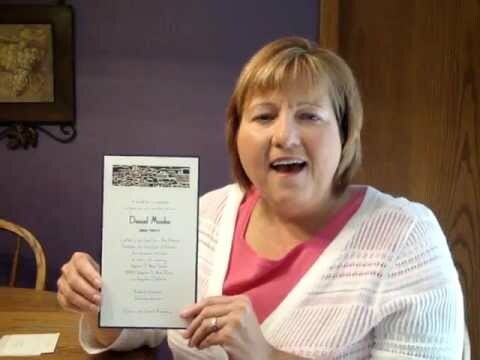 This elegant Bar Mitzvah invitation, features an ivory top card laser-cut with a Jerusalem design at top, revealing the shimmer navy back card. 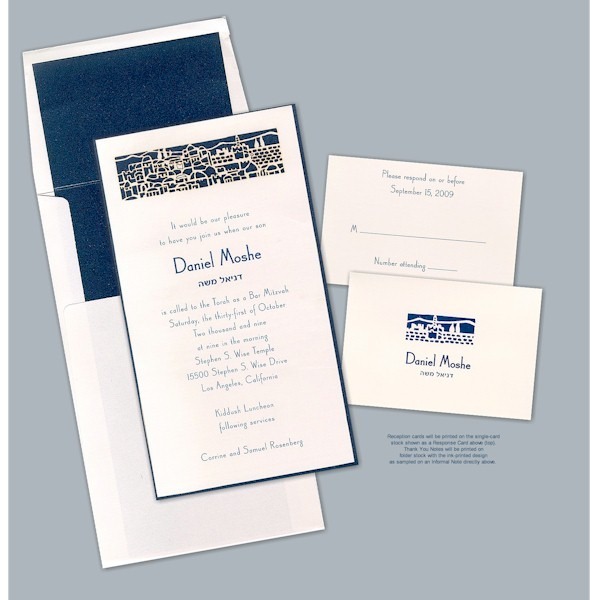 This elegant Bar Mitzvah invitation, which is manufactured and printed in Israel, features an ivory top card laser-cut with a Jerusalem design at top, revealing the shimmer navy back card. Your invitation wording is printed below. Measures 5 1/4″W by 9 3/8″H. Shown with Blue ink and typestyle Canterbury Old Style. 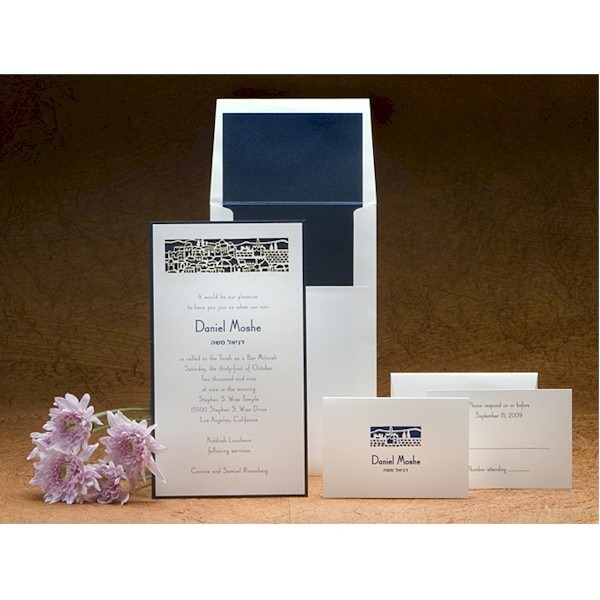 Single ivory envelopes accompany this Bar Mitzvah invitation. Please Note:This invitation may be stamped with the designation “Made in Israel” on the back at no extra charge. This service is available on the invitation only. Envelopes can be lined for an additional charge of $43 per 25.